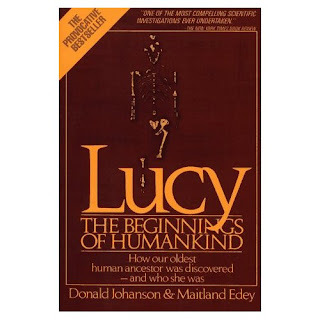 I'm currently reading a book called Lucy : The Beginnings of Humankind. I visited The Leakey Foundation's web site and saw this book in the bookstore. I am always interested in human evolution and I have to admit that australopithecus afro is one of my favorite species. Even though the book was published more than 20 years, I am ambitious in reading this book. When I started to read the book, I can tell that some information are outdated. But, I still feel that ti's worth reading. I am intrigued by the discovery of Lucy and I wanted to learn more about the history of Lucy. It seems that the author did a tremendous job by describing the difference of each species, from apes to humans and how to identify each skull. The New York Times published an incredible article last year about new hints unveiled by studying Lucy's bones. I'm going to post the link below. This article was printed on September 21, 2006.